A fast-evolving distribution landscape and the growth of B2B customer expectations nudge B2B companies into the digital transformation. 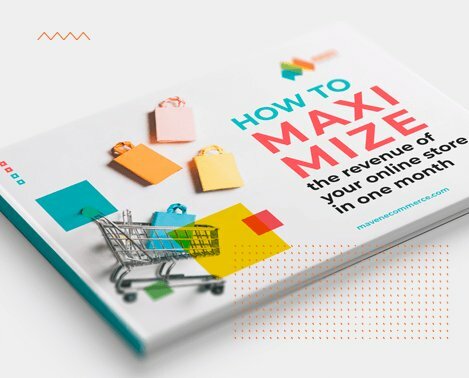 According to the recent report, 76% of retail executives across Europe and the USA have already built a B2B e-commerce ecosystem and 39% of them reported the eCommerce site is their main sales channel. And the upcoming year will be a winning time for B2B retailers. Forrester predicts that by 2019, the B2B e-Commerce market will be worth $1.1T compared to the B2C market at $480B. Let’s deep dive into a B2B ecommerce future and find out where retail executives are planning to invest next year. The main difference between AI and cognitive computing is that the latter unites a human and a machine, so they can learn from each other and collaborate in a more powerful way. With possibilities of cognitive technologies commerce enterprises can gather the richer and more personalized data about their customers. 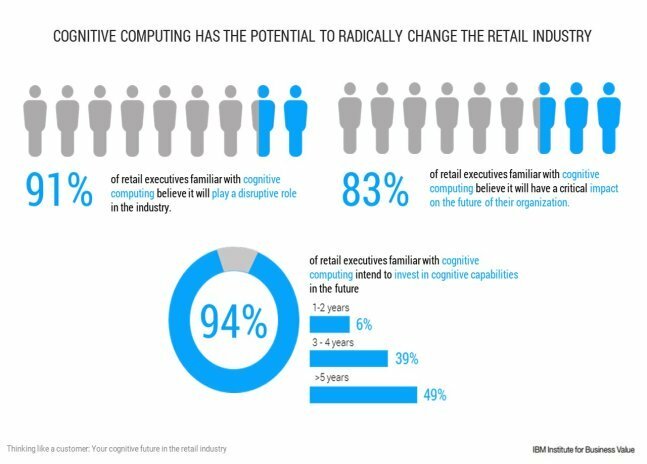 94% of retail executives already planned to invest in cognitive technologies in the nearest future (IBM Institute for Business Value’s report). Just imagine that every time when purchasers enter an eCommerce portal they can see only the products tailored to customers’ specific interests, and the prices being adjusted to product configurations. Cognitive commerce is more than personalization, it’s a chance for retailers to effectively optimize inventory and supply chain processes. The key to an every B2B ecommerce effective ecosystem is software. The latest research shows that 96% of retailers believe it is business-critical to integrate an eCommerce platform with the ERP system and others automated solutions. It is quite a usual thing that eCommerce platforms are developed completely independently from the sales automation tools, such as enterprise resource planning (ERP), order management and inventory management systems. And as a result, commerce enterprises are losing a huge amount of customer data and shipping information. This year, many commerce enterprises have found that they need an improvement for streamlining their interactions with customers. The online store integrations helps with that problem by providing an automated replenishment and custom purchasing workflows. It enables B2B companies to synchronize the ordering process across different sales channels and build stronger relationships with other suppliers and customers. Today B2B buyers become more independent and they expect to be treated with just the same shopping experience as Amazon provides, offering even more specific products or services. They want to make online researches, place order or request a quote by their own without addressing to the suppliers. Forrester actually predicts that 1 million U.S. B2B sales people will lose their jobs to self-service e-commerce by 2020. The main benefits of delivering a self-serve experience is increasing the sales force power by evolving them into more strategic activities than just, for instance, an order taking. By implementation the previous trend (Multichannel Integrations), B2B retailers can easily track a consumer journey and figure out exactly what product or services they want. 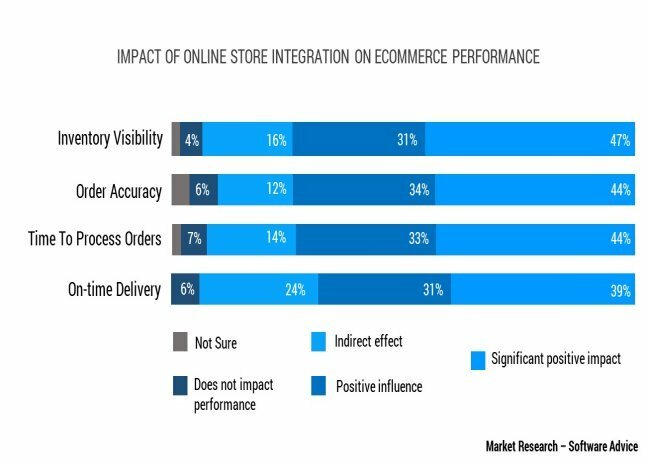 The future of the B2B eCommerce is resting on integrated solutions that will automate all the routine work and predict the customers’ habits. No doubt, that digital transformation will require the technology investments that can reorganize companies’ structures and sales processes. If you are ready to implement future trends and reinvent your eCommerce portals – our B2B ecommerce experts are ready to help you. Thanks for sharing informative article. As per Forrester predicts that by 2019, the B2B e-Commerce market will be worth $1.1T compared to the B2C market at $480B.